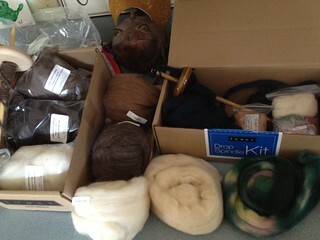 Between the kit, the class, books, and the Ravelry groups, I should be good to go right? Do you spin on a spindle? Do you have tips / tricks / favorite tutorials / advice for a new spinner? You are good to go! Advice? Don’t get discouraged and get ready to become obsessed. Thanks for sharing!